Like to Fish? We’ll get along just fine. You’ve found my site, my guess is you like to fish. 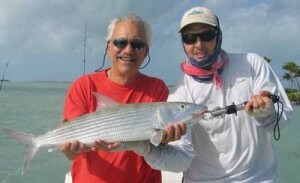 My name is Captain Perry Scuderi and I’ve fished the backcountry and flats of the Florida Keys since 1977. For the last 12 years, I’ve been a professional guide — it’s my job to catch you the fish of the lifetime. I started coming to the Keys with my family and friends when I was six — back in 1977. I was hooked. Every opportunity – weekends, holidays, summers — I came to the Keys. If you’ve been here, you understand. If you haven’t, well, you’d do yourself right to spend a few days in what a lot of people call paradise…and if the fish cooperate, you’re friends will beg you to stop talking about your trip. 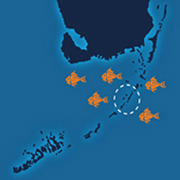 Thanks for looking around the site – I hope to see you in the Keys soon. That you even have a web page to read right now is truly thanks to a few younger anglers I’ve fished over the years — and my wife who told me to listen to them. I have a 10,000-question per trip limit…would you believe some kids reach it before we even leave the dock?